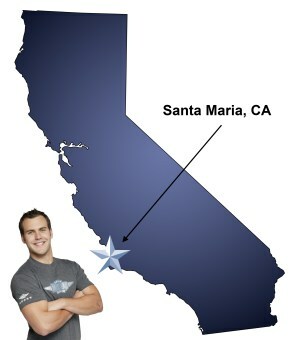 Meathead Movers is here to take care of the heavy lifting for you on your move to Santa Maria. Our clean-cut student athlete movers are ready to get you safely settled into your new home. With a gorgeous wine-country backdrop and all the amenities you could ever want, Santa Maria is a worthwhile place to call home. If you’re relocating to Santa Barbara County, Santa Maria should be at the top of your list. For a superior moving experience, Meathead Movers is the company to trust. With our help, your move to the area will be as easy and stress-free as possible. You shouldn’t be deceived by the fact that Santa Maria’s population totals just over 100,000 people. It’s anything but crowded. Its large population is a major asset because it has filled the city with exceptional stores, dining establishments, businesses and other important features. Residents of Santa Maria have access to everything they could possibly need, and they get to enjoy lovely scenery too. If the excellent amenities don’t win you over, there are plenty of other benefits to living here that are sure to do the trick. The city is a rising Santa Barbara Wine Country star. Exceptional grapes are grown on the pastoral hillsides that dot the city’s outer limits, and new vineyards and wineries are popping up all the time. After settling in, you’ll have a blast exploring Waller County Park’s hiking and biking trails, attending exciting events at the Santa Maria Speedway and enjoying rousing rounds of mini-golf at Boomers Fun Park. One of the last remaining drive-in movie theaters in the country can be found in town as well. As if all of that isn’t good enough, you’ll be able to eat all the Santa Maria style barbecue you could possibly want. This barbecue is characterized by tri-tip steak that’s cooked whole over local red oak wood, and it’s absolutely delicious. If you are considering a move to the area, Meathead Movers is here to help. Our moving company specializes in local, long-distance, and commercial moves. We also provide reliable packing, storage, on-site relocations, and our distinctive moving concierge service, which connects you with local service providers. All our student-athlete movers are thoroughly screened and trained before their first move. With branches not just in Emeryville, but all throughout California, we are your one-stop resource for all your moving needs, no matter where your California move takes you. Relocating to Santa Maria doesn’t have to be difficult. For a stress-free moving experience and talented movers, Meathead Movers is the obvious choice. Contact us today to schedule an estimate or to book a move. Moving to Santa Maria? Here are some helpful resources. “Everyone on both ends of our move were great to work with. Kind, efficient, polite and worked very hard to complete our project in the time estimated. Very helpful, definetly would recommend your services again. View more Santa Maria resources. Your movers were very polite, attentive to our work day and cared for our office furniture. This was our best move ever. The crew, Roman and Joe, were on-time, courteous, and professional. And strong. They had to move about sixty bankers boxes of books downstairs, then several large bookcases, a large bed, an antique wardrobe, chests, a table, chairs, and several smaller items. Zero damage. The items needing special attention were carefully wrapped. Unloading went quickly at the new location and the job was completed on-time. Roman and Joe were friendly and easy to work with. When we finish the final stage of our move, we'll ask for them again. Raul, Anthony and Nason were very hard working, efficient and professional.